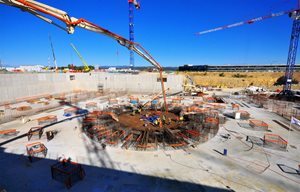 Six storyes high, with wings spreading 20 metres, the Sector Sub-Assembly tools will work side by side to equip the nine sectors of the vacuum vessel before their transfer to the Tokamak Pit, where they will be welded together to form the torus-shaped ITER vacuum chamber. 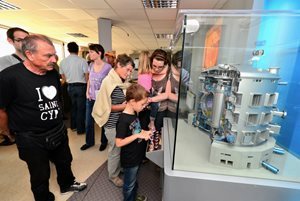 Six storyes high, made of 800 tons of steel, the Sector Sub-Assembly tools will work in concert to equip the nine sectors of the vacuum vessel before their transfer to the Tokamak Pit. 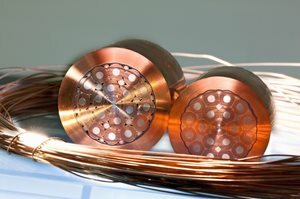 The sectors, which will travel from the factories in a horizontal position, will first have to be "upended" by a dedicated tool that is designed to lift the 440-ton (max) vacuum vessel sectors (7.6 x 6.5 x 13.7 metres) and the 310-ton toroidal field coils (9 x 3.7 x 17 metres) into their final, vertical orientation. Then the Sector Sub-Assembly tools will take over, suspending each vacuum vessel sector from the top while carefully positioning and installing—via the rotary motion of the "wings"—the vacuum vessel thermal shields and two toroidal field coils. The sub-assemblies will be maintained in place as the remainder of the operations that must be completed on each 40° sector (such as the installation of some diagnostics, inter-connecting structures and cooling pipes) are carried out. Made from 800 tons of steel, the 22-metre-tall tools will be capable of supporting, aligning, and stabilizing the vacuum vessel sectors and the toroidal field coils independently through a sophisticated array of precision actuators and sensors. "The assembly of the first sector will take the longest time, as assembly procedures based on the results of tests (involving partial component mockups) are honed via the experience gained as the sequences are performed for the first time on real components," says Emma. At different stages in the sub-assembly process, metrology surveys will be used to verify the components' positions. 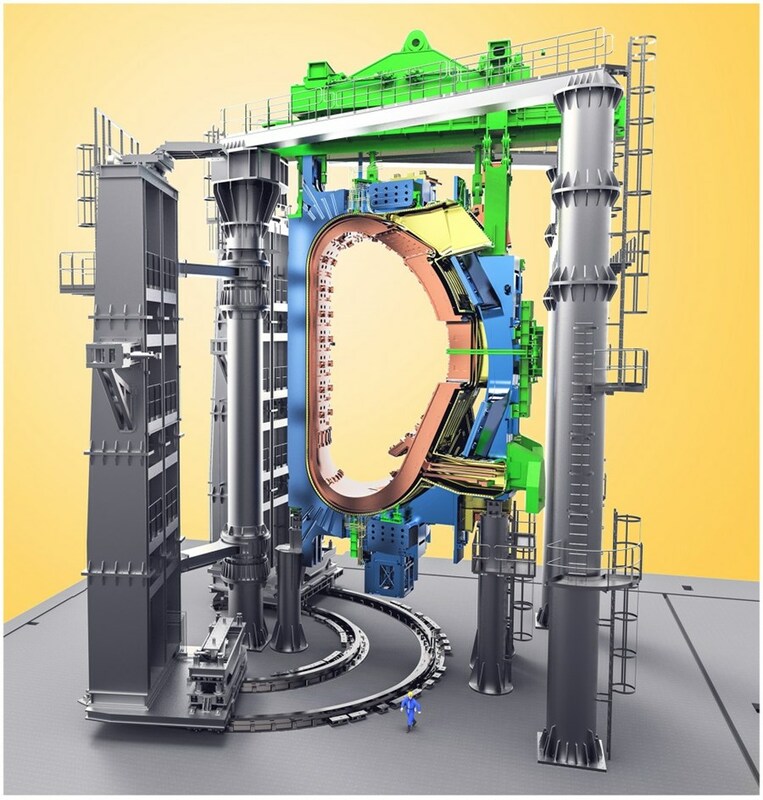 The final sub-assemblies, weighing a maximum of 1,200 tons, will be transferred by two overhead cranes operating in tandem to the Tokamak Pit.